Lovely Arts & Crafts ^v^: # 13 Art therapy - Piggie on the go! 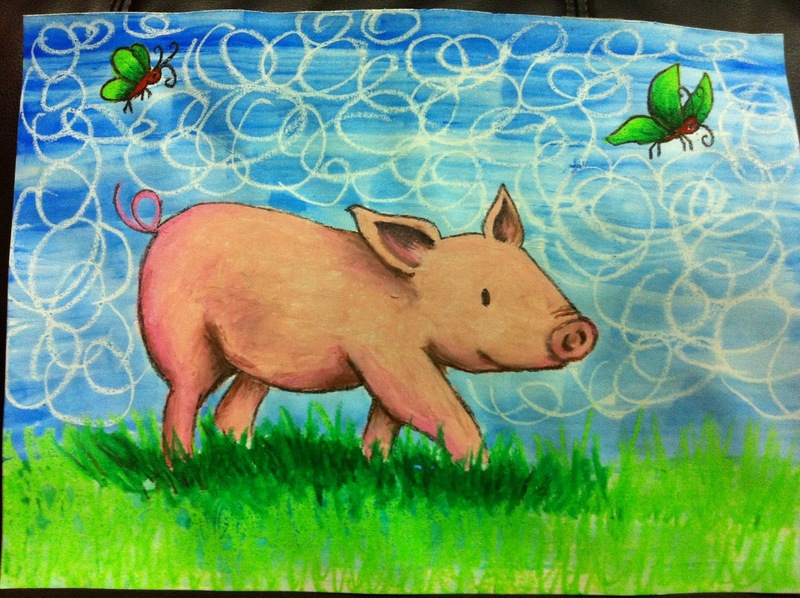 # 13 Art therapy - Piggie on the go! I saw a little piggy cartoon picture on a story book and I just fall in love with it. It's just too cute! So I've decided to draw and color this. I feel that art is a good therapy for me to relax my soul and mind. I enjoyed doing this. I've used crayons to color this, except the background of blue color which is using water color. Yes, the round circles are also using crayons. Hope you like this!